Have you ever wanted to go to a museum that is entirely reflective of your interests? Check out this list of specialty museums in PA, and maybe you can! Offering every type of specialty, these PA museums are great entertainment and fun for individuals with every different type of interest! The Largest Insect Museum in the Nation! 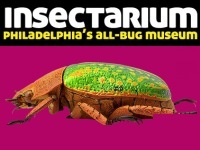 Deemed as Philadelphia's only all-bug museum, the Insectarium displays thousands of live and mounted insects, a movie room, interactive displays, fun stuff for kids, and much more. Founded as a means for both education and entertainment, this Philadelphia specialty museum is geared toward teaching the world about the fascinating world of arthropods. With a large variety of exhibits, you are sure to never be bored at Insectarium. See live exotic insects and a live collection of the natural habitats of unusual insects, and learn about the roles that insects play in our ecosystem. Make sure not to miss the Cockroach Kitchen exhibit, along with the Working Beehive exhibit. Quoth the Raven, "Take a Tour!" 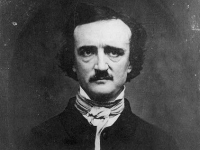 A writer who has engaged readers around the world with his horror and genius, Edgar Allan Poe lived in Philadelphia for six happy and productive years. You now have the opportunity to take a tour through the Philadelphia home of the brilliant Edgar Allen Poe! Take a walk through his beautiful home, see the Raven statue, browse through the many exhibits, and stop in at the gift shop for some Poe memorabilia! During your tour through the Edgar Allan Poe National Historic Site, you can see a movie in the wonderful theater, walk through every room of Poe's old home, and experience the horrific but brilliant life of the awe-inspiring Edgar Allan Poe. See African American Culture through Dolls! Housing over 300 black dolls in their collection, the Philadelphia Doll Museum provides a variety of resources, information and documentation highlighting the story of how black people have been perceived throughout history. 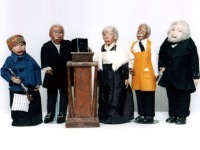 Including Africans, Europeans, American Folk Art dolls, and much more, the Philadelphia Doll Museum emphasizes the collection and preservation of black dolls as artifacts. During your self-guided tour of the museum, be sure to take a look at the many doll collections, including paper mache dolls, golliwogg, bisque, belton, big boy, African dolls, folk art, topsy-turvy, Patty Jo and more. If you're looking for a unique cultural experience in Philadelphia, then the Philadelphia Doll Museum is the place to go! A Fun Museum & Informative Library! Founded by Dr. A.S.W. Rosenbach and his brother Philip, the Rosenbach Museum and Library presents a renowned collection of rare books. Seeking to inspire curiosity and creativity, the Rosenbach offers informative exhibitions, programs and research. Stop by for a fun and informative museum visit, or to conduct some valuable research at the library! 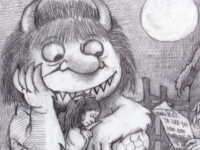 You will have an unforgettable time browsing through their extensive collections, including Bram Stoker's notes and outlines for Dracula, George Washington's personal letters, Lewis Carroll's letters, William Blake's original drawings and books, and much more. Along with their various collections, there are also many changing exhibits, programs, and events. A Collection of Auguste Rodin's French Sculptures! Presenting the beautiful works by the French sculptor Auguste Rodin, the Rodin Museum is located amidst the Benjamin Franklin Parkway. The collection of Beaux-Arts architecture and a formal French garden are so enjoyable that you will never want to leave! With both indoor and outdoor sculptures, the Rodin provides a tranquil oasis in the middle of the busy city of Philadelphia. 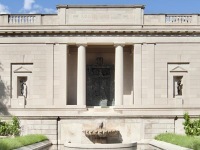 Be sure not to miss the many awe-inspiring collections, including such collections as "About Auguste Rodin," "Bronze Casting," "Museum History," "the Gates of Hell," and more. Also make sure to check out their daily events, classes and programs - there's always something going on at the Rodin!